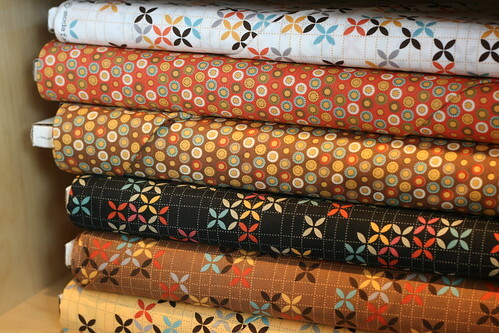 The last weekend in July (Friday through Sunday, the 29th, 30th, and 31st) all regular priced Moda fabrics will be discounted 25%. 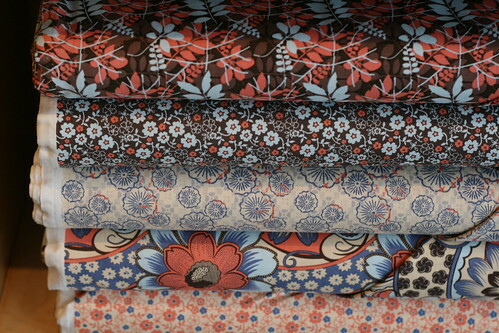 That includes prints from designers like Kate Spain, French General, Sanae, Urban Chicks and others! 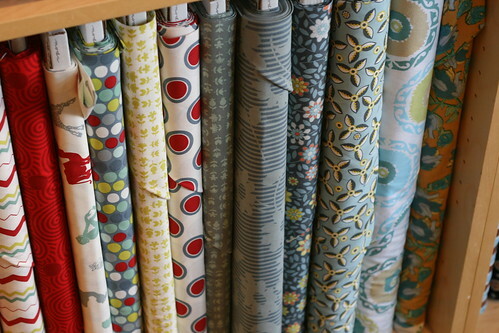 Of course, we also have nearly an entire wall of sale fabric every day, so make sure you give it a good going through next time you're in. We are always adding new bolts. We have been anxiously expecting some large quilt market shipments this last month, and it looks like they will start rolling in shortly. Often manufacturers give stores general ship time, but these can be off weeks or months. Don't worry-- we are as impatient as you are and we'll let you know just as soon as those boxes start arriving! Get ready for some fantastic summer and fall sewing. I'll be back Friday morning with a book review and giveaway.